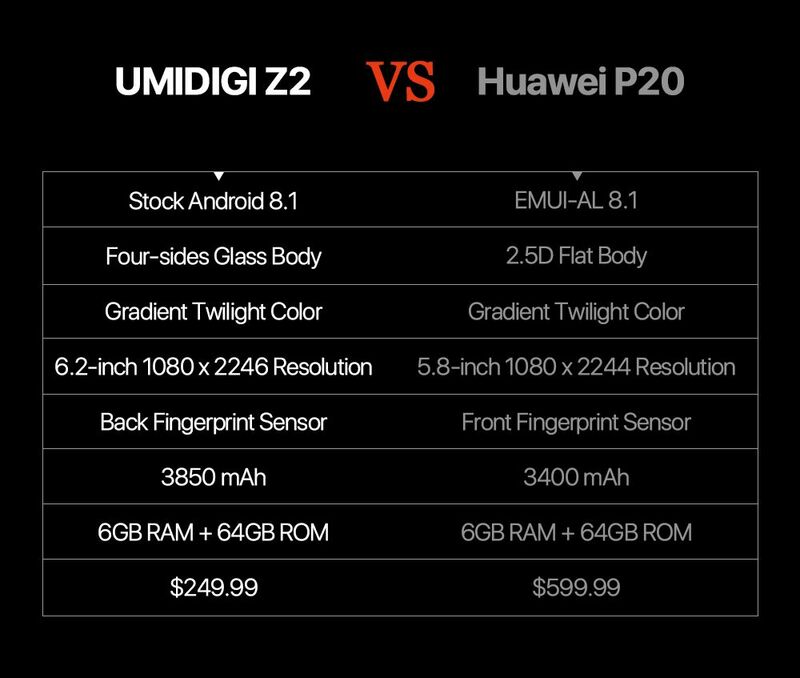 The newly announced UMIDIGI Z2 looks like it’s ready for the toughest comparison, even taking on the titan of the game, the Huawei P20. It's much the same when it comes to screen quality: both of these are excellent displays and both are very, very similar. The UMIDIGI Z2 opts for a 6.2inch display at 1080 x 2246 resolution, sporting a 19:9 aspect ratio and the now-popular notch cutout. Meanwhile, the Huawei P20 comes in a bit smaller at 5.8inch and 1080 x 2244, with an 18.7:9 aspect ratio (and the notch). They're both pretty clear and have great contrast. In the video, it shows that UMIDIGI Z2 has a much smaller chin than the Huawei P20, while Huawei P20 still using a front fingerprint sensor at here, it’s good with a front fingerprint sensor, but It sacrifices the screen-to-body ratio. UMIDIGI Z2 applies hideable navigation bar and supports full-screen mode, that’s very cool. UMIDIGI Z2 works with stock Android 8.1 out of box, while the Huawei P20 uses company’s system EMUI-AL 8.1. 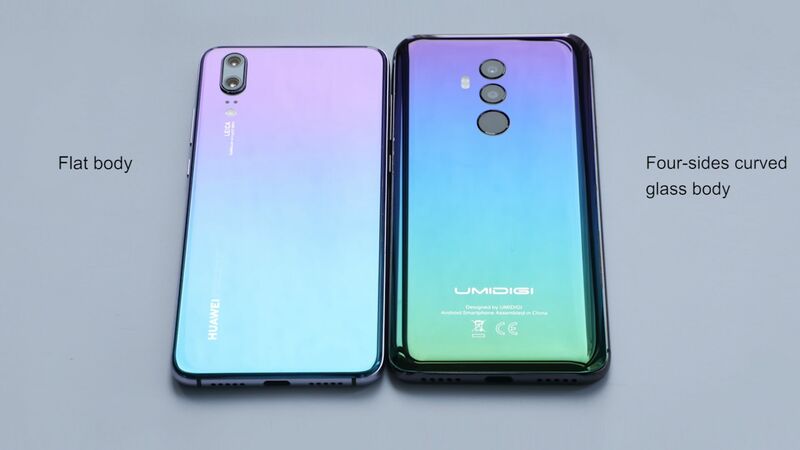 On the back of UMIDIGI Z2 and Huawei P20, both smartphones adopts gradient twilight color, It looks very beautiful for both smartphone. The Huawei P20 adopts a flat body while UMIDIGI Z2 has a four-side curved glass body, the weight is almost the same, so when you are holding these two smartphones in hands, probably the UMIDIGI Z2 will give you a better feeling and better grip thanks to the curved and rounded edge design. Now UMIDIGI Z2 is officially listed on UMIDIGI’s website and opens presale subscription, the presale will start from $249.99 (while Huawei P20 now at Amazon is priced at $599.99) on 11th June at 8 AM (UTC). You can visit here to get notified of the presale.